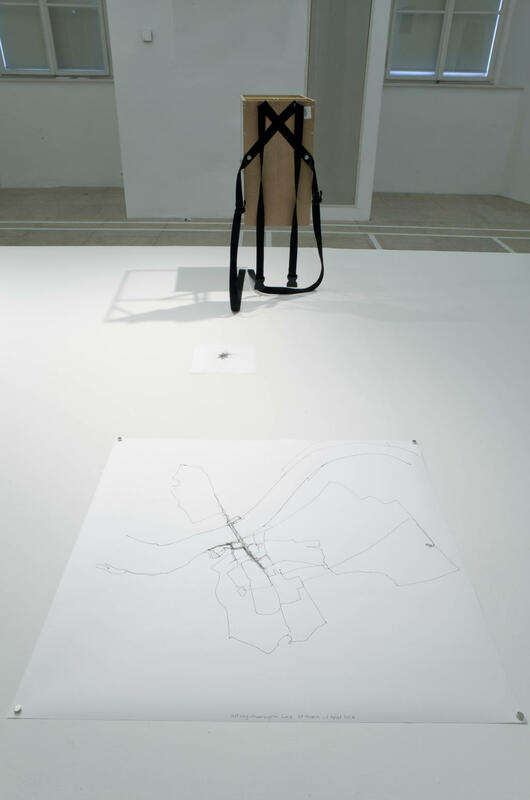 In 2014, Dan took part in a residency and group exhibition called 'Walks and Traces Off the Map' at the Salzamt in Linz, Austria, organised by the artist Sibylle Ettengruber. 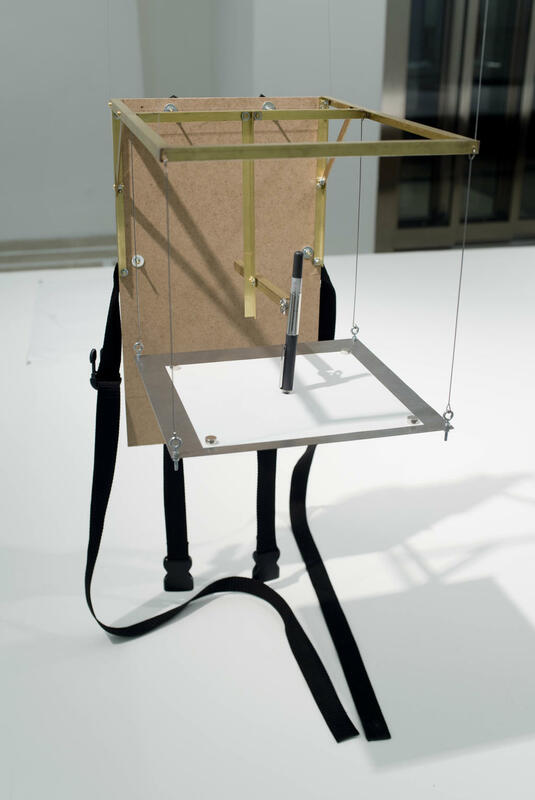 While there he built the second 'drawing machine' which straps to the body, recording movement in a very different way to the GPS drawings. 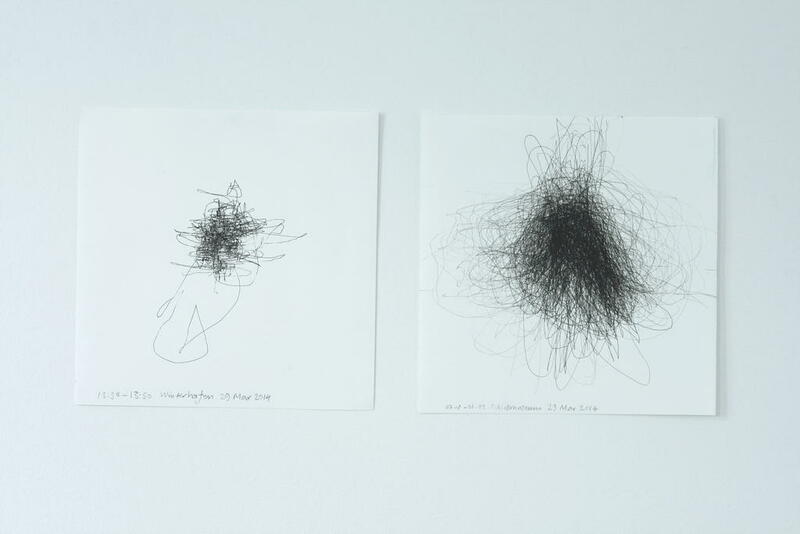 Nine drawings (20cm x 20cm) were produced in different locations in Linz and all movements in Linz were recorded with a GPS and then traced by hand onto a sheet of drawing paper, exhibited alongside the drawing machine and the nine drawings.